Globe Telecom actively pushes Cebuano lifestyle into the digital scene as it introduces the Globe myLifestyle Plan. Likewise, the Telco is also giving a hand to Cebu-based small to medium businesses with its myBusiness plan. Both services offer flexibility in creating and customizing the way customers wanted to use their plans. In a recent round table discussion with Cebu media, Globe dished out several important points about their new plans. With the new myLifestyle Plan, Cebuanos will get access to an easier and simplified plan offer starting at P499 a month which comes with built-in unlimited calls and texts to Globe & TM plus freebies such as the Navigation Bundle which gives customers all day, all month access to apps such as Waze, Grab Taxi, Google Maps, MMDA, and Accuweather, 1 GB Globe Cloud for easy and hassle-free storage of files and photos, and Gadget Care to allow customers to protect their devices against theft and accidental damage. 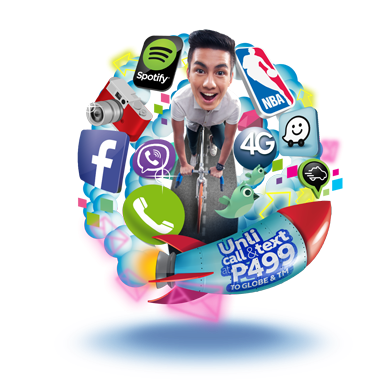 On top of the base P499/month plan, Globe postpaid customers can avail of add-on services like Surf Packs for their mobile internet needs which are bundled with exclusive access to Spotify and/ or NBA League Pass. Customers can choose from GoSURF99 for 100MB of mobile internet monthly to as much as 15GB monthly with GoSURF2499. For a richer data experience, myLifestyle plan customers can also choose from any of the Lifestyle Packs, which includes Music (Spotify), Productivity (Work Bundle for access to Evernote, Gmail, Yahoo Mail, and Globe Cloud), Life (Navigation Bundle, Explore Bundle for access to Agoda, Cebu Pacific, PAL, and Trip Advisor; and Shopping Bundle for access to Amazon, AyosDito, eBay, OLX, and Zalora), and Social (Chat Bundle for access to Viber, Facebook Messenger, KakaoTalk, Line, WeChat, and WhatsApp; Photo Bundle for access to Instagram, InstaSize, Photo Grid, and Photo Repost; ChatApp for access to Viber or Facebook Messenger; and standalone access to Facebook or Twitter). Moreover, they can also get extra calls and texts to other networks, as well as landline and international services with the Classic Packs. All promo packs chosen will then be added to the P499 base plan, which will be equivalent to the customer’s monthly service fee (MSF). Customers then get to choose from a wide range of free devices and gadgets, depending on their MSF. The more services they add on top of the base plan, the better the handset they can get. The new plans also come with a free 30-day webpage trial that can be customized for one’s business.With internet penetration growing at a rapid pace, this feature lets the business stay competitive and easier to search. Taking into account this trend, Globe myBusiness will help create and maintain the webpage, giving entrepreneurs a hassle-free experience in running their operations using the online media. Entrepreneurs can choose a plan for as low as Plan 299 a month to Plan 3799, depending on their needs and scale of communication requirements. Each plan comes with consumables at least 50% more than for the monthly service fee. The consumables can be used to customize their plan with calls, SMS, mobile internet and gadgets. Finally, they can boost their plans with solutions that help increase productivity and sales of their business. You can visit any Globe Store anytime for more information about these plans. 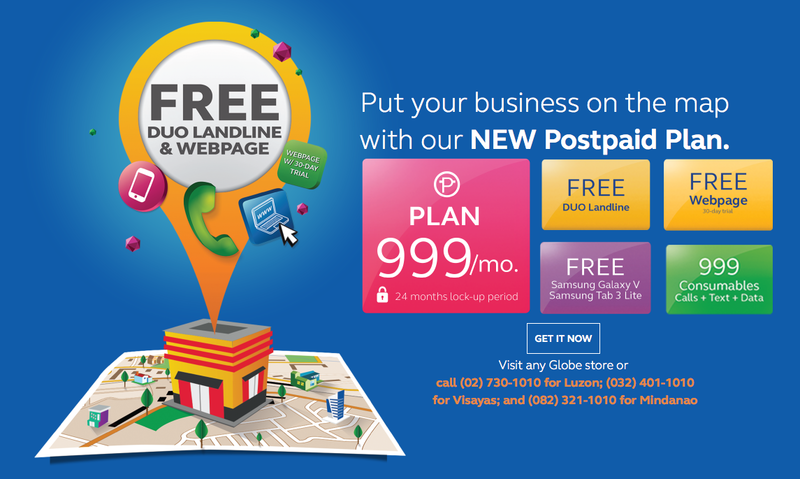 Alternately, you can also visit the respective websites for Globe myLifestyle Plan and myBusiness Plan.